Project Perfect Mod :: View topic - All Red Alert 2 maps in PPM map category. 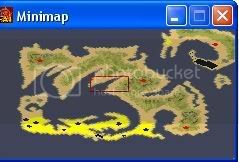 Posted: Wed Dec 12, 2007 6:01 pm Post subject: All Red Alert 2 maps in PPM map category. 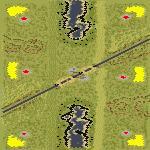 All maps have a previews, is a mini map for the whole map. They are not big and they load fast. Q:How can I play the Red Alert 2 maps in Yuri's Revenges? 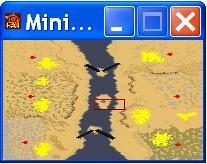 A: Rename the map to .yrm extension to play YR.
Q:How can I play Yuri's Revenges maps in Red Alert 2? A: You cant because Yuri's Revenges use new buildings, codes, tech buildings, new terrains and so on. Q: What mean TX in the map name? A: Is Open Map Competition. Q: Is it some single players maps in the list? A: Yeah is 1 Red Alert 2 SP and 2 Yuri's Revenges. You can find them under mission group under the arrangement main groups. 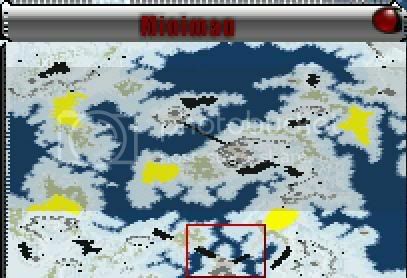 Q: How I make a map? Download it here Work for YR and RA 2. Q: Where can I find tutorials and get help or even more info about post a map on PPM? Q: How can I play this maps? A: Download the .zip/.rar file extract it. Put the map in the Red Alert 2 folder and start Red alert 2 or Yuri's Revenges. Pre Release Map 3 ! Forum link: Pre Release Map 3 ! Download: Pre Release Map 3 ! [YR] [2-4] The Great Battlelands. Forum link: [YR] [2-4] The Great Battlelands. Download: [YR] [2-4] The Great Battlelands. [YR] [2-8] Layer upon layer of peaks and knolls. Forum link: [YR] [2-8] Layer upon layer of peaks and knolls. Download: [YR] [2-8] Layer upon layer of peaks and knolls. You are awesome! This should be stickied! my battlefield map isnt finished :p and yet my other maps are. Hmm. Garden of Eden was the only single-player map for RA2? I'm amazed. I just don't get the point of this crap. "All Red Alert 2 maps in PPM map section." Why? People can just browse the forum. And it's still a lot more overviewable than a 20 screen list. All I see here is attention whoring. You COULD, browse the forums.. However, this way Is alot quicker, and easier, In my opinion. Thanks to Anderwin, you can veiw all maps in one thread. It's a great idea if you ask me. the only thing that could outdo this would be a ppm-search-engine. I think m666 had already forgotten about the embarrassment that his old maps were, until you brought them to light again. Still fun to read. Hey can somebody make a Ra2 spotlighted map section? I speed it up for people. Is easier to find maps and so on then browse dead link and so on. This is for people some wanna work faster find thing faster. This speed it up like 20 X then press every damn tread. 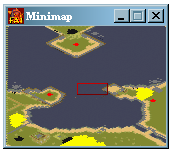 And here you comment Red Alert 2 maps, spotlights and so on. Will add a FAQ to all list where/how is work and so on. Please use thats thing to reply thats kind of stuff. hmmm, you had everything up, and then it is gone. I bet your gonna put them all in one download. well... aslong he dosent add any of my maps (except maybe rushers battlefield) i do not care, should be a epic pack. Where is my map, you no gooder? Is will come later when I update the list dude. Someone should put all of them into one big pack...Just for Christmas. Why are the other maps missing?! Mod maps are not included here. If somebody want a mod maps included so say it on the other tread. IS not so easy to press on all tread O.o. And who map are missing? Find the names and press HERE for post the list. you are missing RUSHERS BATTLEFIELD which is mine. also my battlefield map is a mod map... for i left a prism tower on russia side by accident and never fixed it, also seals are buildable. sentence or even my post over you. This is the last time I will change the list for you if you do not follow the rule thanks. Edit: Now is in the list. Even with a MINI MAP! !